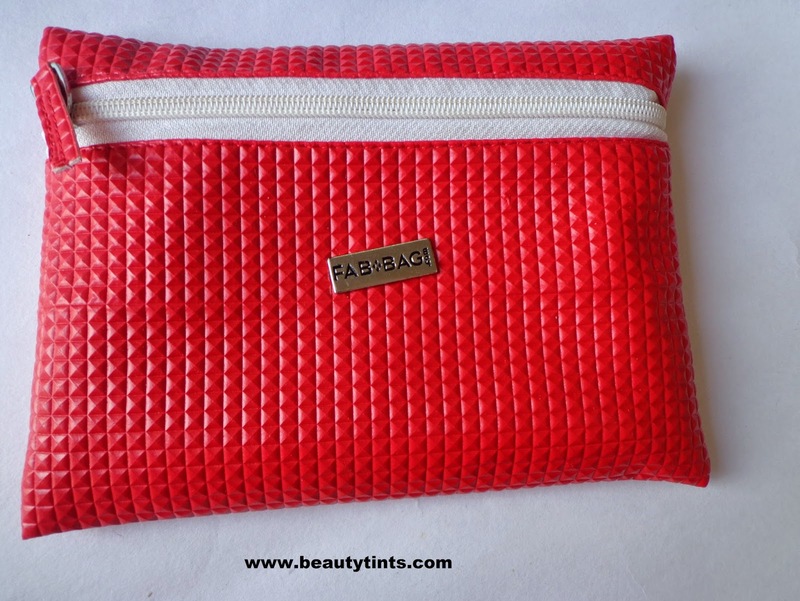 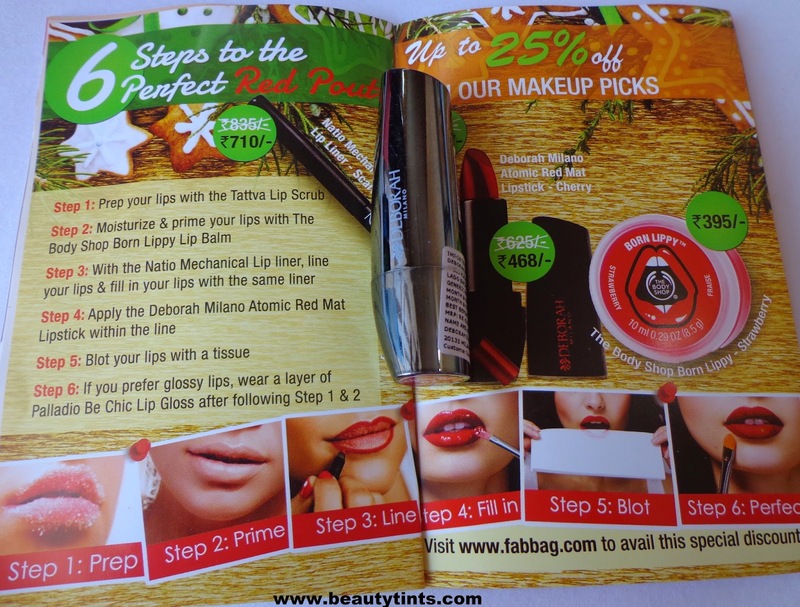 Sriz Beauty Blog: Fab Bag December 2014 Review! 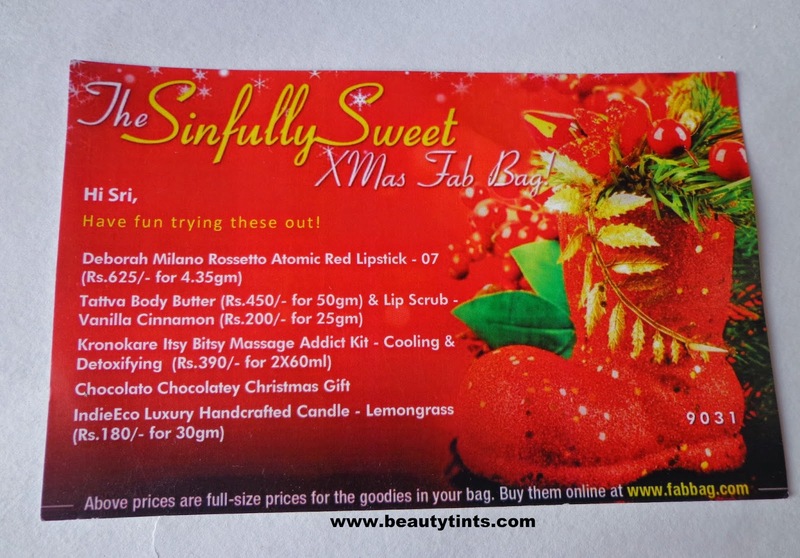 I am super excited this month as I received the Fab Bag very early.This month's theme is ''The Sinfully Sweet Xmas'' and the samples came in a Red Xmas themed cute bag. 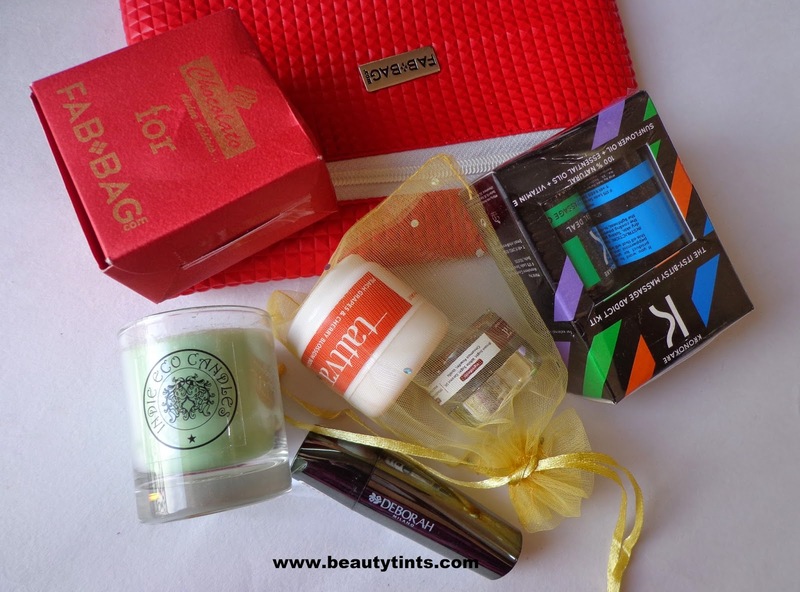 This time I received 3 samples,along with two surprises.One is the Lemongrass Candle and the other is the Chocolato Chocolatey Christmas Gift. 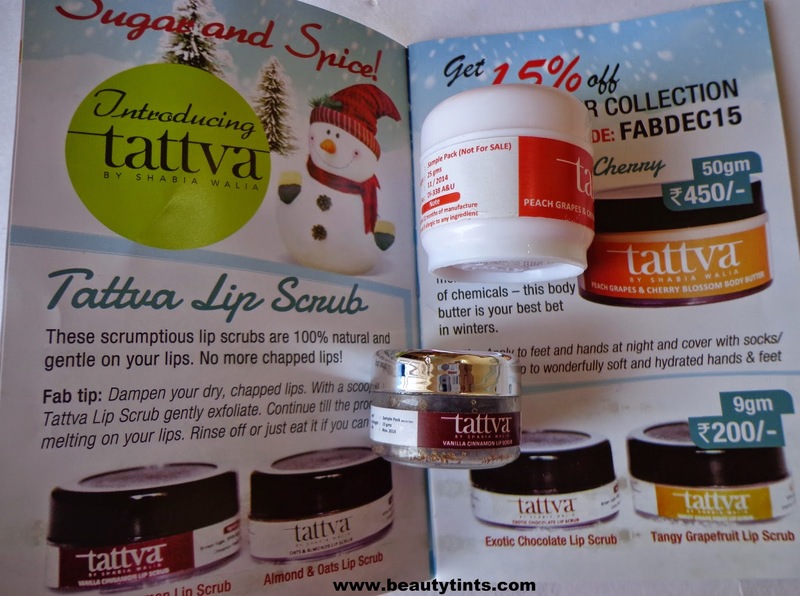 2)Tattva Peach grapes & cherry blossom Body butter & Vanilla cinnamon Lip Scrub : I got 25 gm body butter and 15 gm lip scrub. 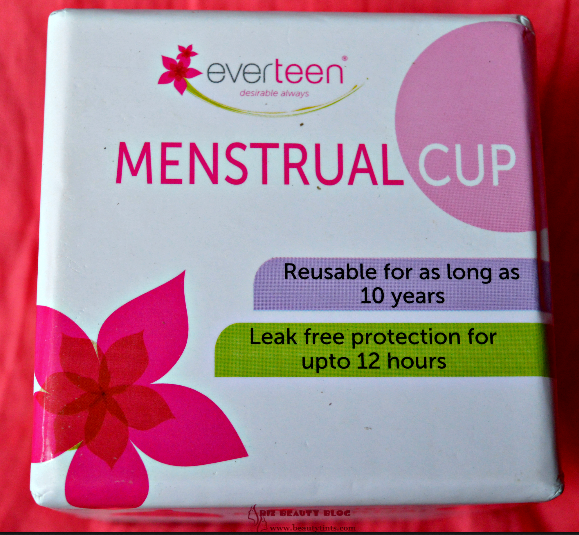 Full size costs INR 450/- for 50 gm & INR 200/- for 25 gm resp. 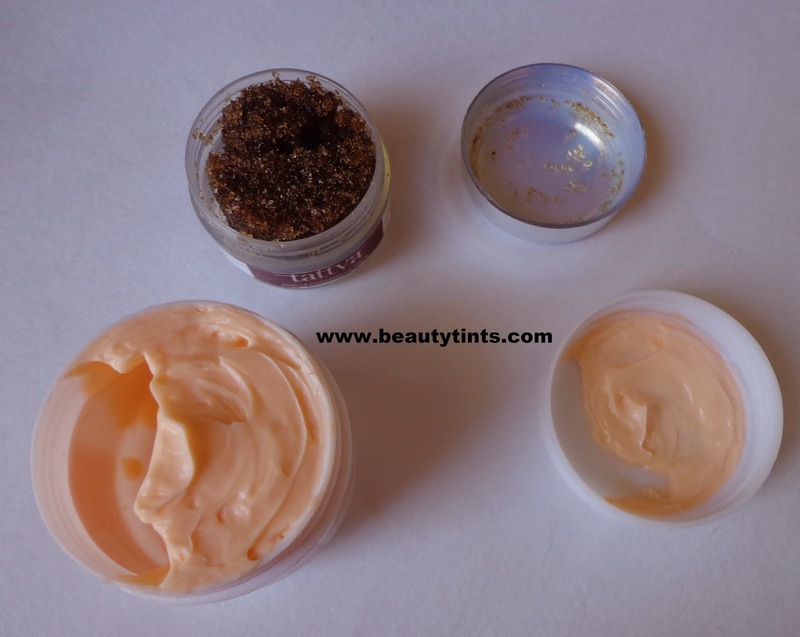 The body butter smells amazing! 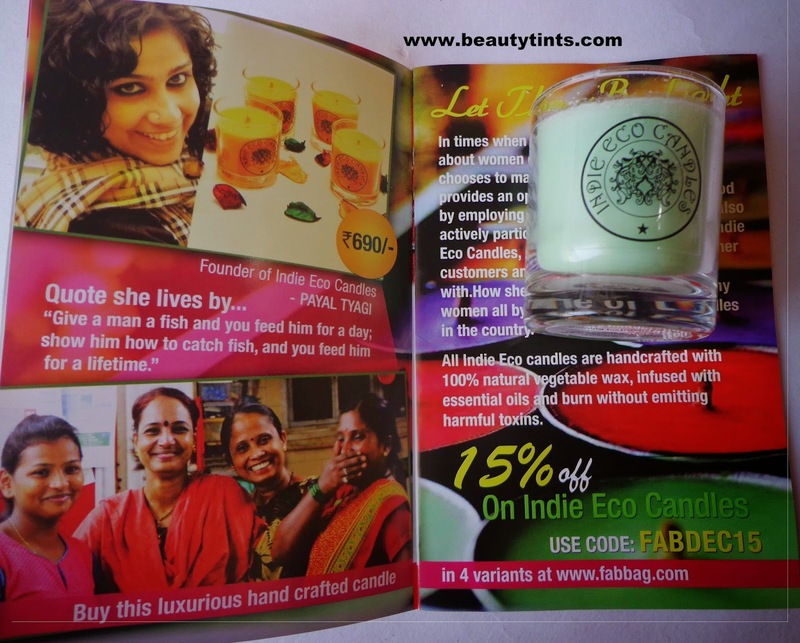 4) Indie Eco Luxury Hand Crafted Candle -Lemongrass (Freebie) : I think this is a full sized candle which costs around INR 180/-.I love aromatic candles and looking forward to use it soon. 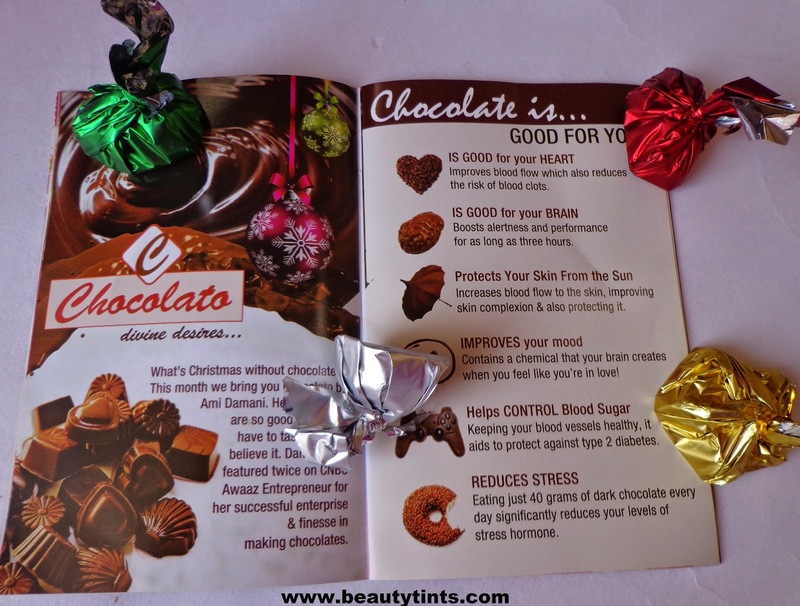 5)Chocolato Chocolatey Christmas Gift : This contains 4 assorted yummy chocolates. 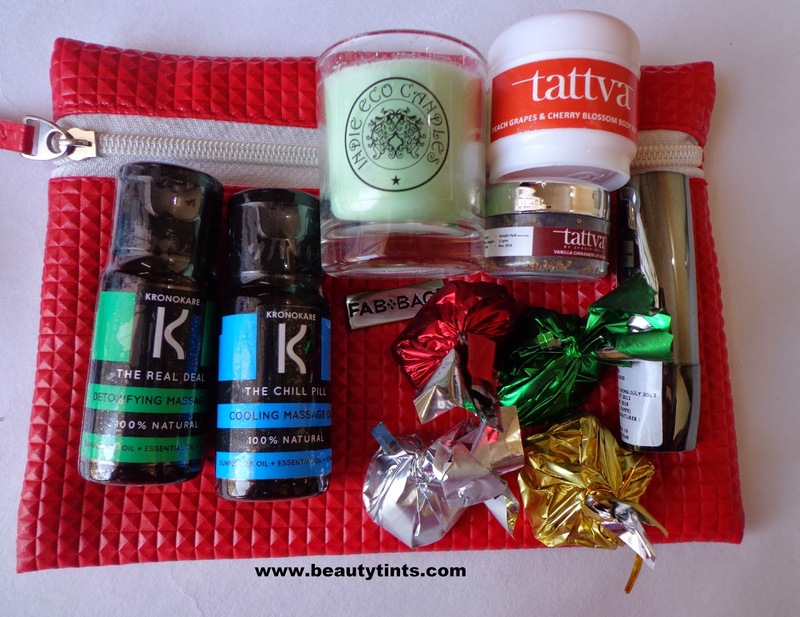 Final Conclusion : Overall a good bag again,I loved the Deborah Milano Lipstick and tattva products from this Month's Bag, and loved the candle as well as the chocolates,they are yummy! 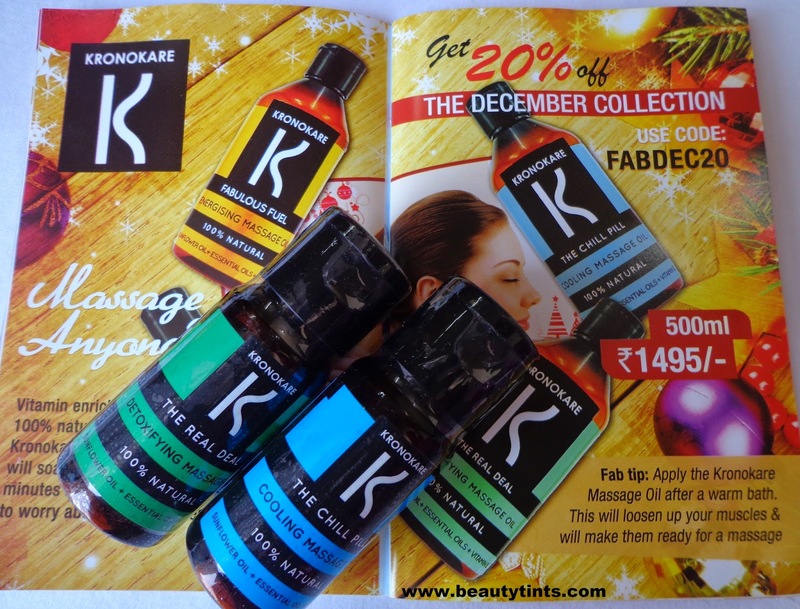 But when it comes to luxury brands,none of these can be considered and we can easily buy them as they are not expensive at all!I am not happy with the Kronokare products again and again. 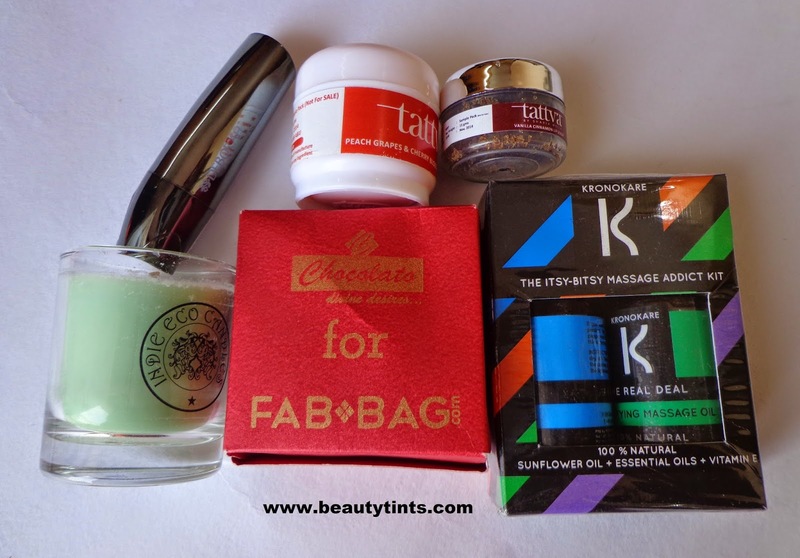 Please Fab bag introduce some high end brands at least in the next year !! !